سواءً كنت مسافراً بغرض السياحة أو العمل, Grosvenor Beachfront Apartments هو خيار عظيم للإقامة خلال زيارتك جولد كوست. يسهل الوصول إلى هذا الفندق ذو 3 نجوم من المطار، فهو يبعد عنه مسافة 20 Km فقط. كما يمكن الوصول بسهولة إلى اورشيد افينو, Racecentre, Timezone Surfers Paradise. إن Grosvenor Beachfront Apartments حريص على توفير الراحة للنزلاء، فلا يوفر الموظفون جهداً في تقديم أفضل الخدمات وضمان حسن الاستقبال. هذه بعض الخدمات الموجودة في هذا الفندق: تسجيل وصول/خروج سريع, تخزين الأمتعة, صف السيارات, خدمة الغرف, التوصيل من وإلى المطار. تعكس غرف الفندق البالغ عددها 39 المنتشرة في 14 طوابق جواً من الدفء والألفة.خدمات عصرية مثل تلفزيون بشاشة مسطحة, غرف لغير المدخنين, تدفئة, مكتب, شرفة/ تراس موجودة في بعض الغرف المختارة. يقدم الفندق مجموعة رائعة من الخدمات كمثل حوض استحمام ساخن, ساونا, مسار جولف - ضمن 3 كم, حمام سباحة خارجي, سبا، لجعل إقامتك تجربة لا تنسى. إن Grosvenor Beachfront Apartments هو خيار ذكي بالنسبة للمسافرين إلى جولد كوست، بما يوفره من إقامة هادئة ومرحة. I won't be staying at this hotel again. The room was so dirty, found food wrappers under the beds, open chips in the cupboard, floor was filthy to walk on, apples in the hallway cupboard, fan wouldn't work, the gate for the car park was broken the whole time was there so the car park was left opened for anyone to walk in. Barely any hot water, spa was luke warm at best. We love these apartments. This was the 2nd time we have stayed here & although our room & view was lovely last year, this year we were put in a newly renovated Apartment with spectacular views looking down Surfers Paradise Beach towards Coolangatta. 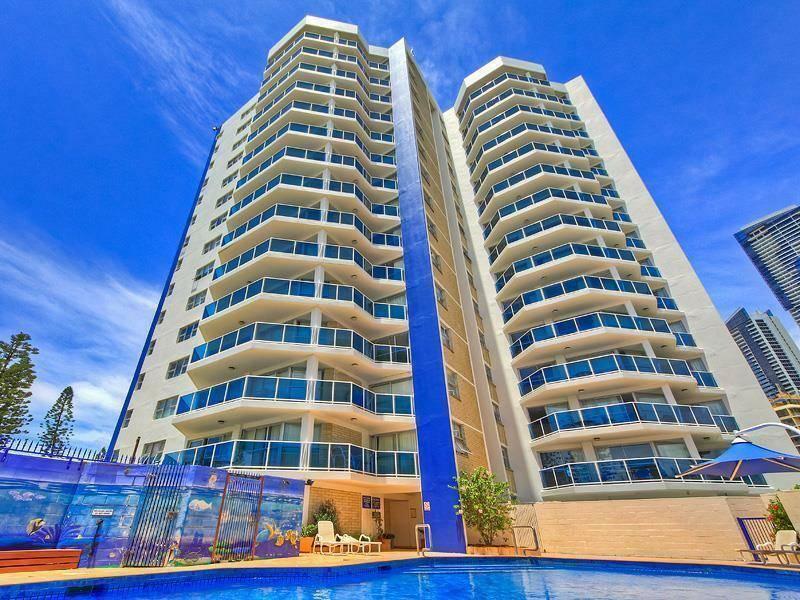 The Apartments are with-in minutes of Cavill Ave & the Beachfront Night Markets start just across the road. The lady on Reception was lovely & we would highly recommend to anyone wanting to stay on the Esplanade & have fantastic view of the beach. We will definitely be staying here again. The only good thing about this hotel is the location. Room was large but was very outdated with interiors. There was no dooner on the bed so we had to use the sheet provided as well as the sheet from the other bed. Pillows were HUGE and we had to use the couch cushions instead. The whole room stunk stale and dusty even with open windows and doors. The balcony area was disgusting, mouldy & had 3 aircon boxes just sitting out there rotting. The kitchen had a layer of dust over the counter & windows were so dirty we thought they were actually obscured windows. We were ripped off with the price at the Commonwealth Games time. I would have never spent $2400 for 6 nights if I knew the quality was going to be this bad. We booked 3 two bedroom apartments for 9 days! On arrival to the place, which I was told to come at 10.30 when my plane arrived, one of the units was available but we were not allowed to get into it until the other two units were available, we had a 7mth old baby with us, we were told to come back in 2 hrs! When we finally got into our units which we asked to be close together, 2 were on the 4 floor right next to each other with beautiful views out over the ocean and lovely furniture and nice sea breeze. The third one however was on the 2nd floor, it was small, furniture was sparse there was no view (except for the pool, wow, not) the was no breeze of any sort cause we were down to low! The fridge did not work! Because we were on the 2nd floor and the rest of our family were on the 4th floor none of us could access each other's floors to visit! The whole experience for us was horrible and I did not enjoy it at all! The office staff were not at all nice (actually very sarcastic). 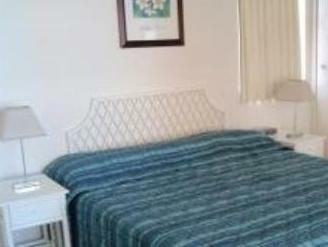 The location is perfect and handy to beach and Cavill street. We stay in room # 1042 for 4 nights,the facilities of the room were not properly maintained,some shade curtains were gone, the next door can see through the room, the soap box in shower room was damage due to the rust,paint peeling off in living room. Superb location close to mall, beach n easy to get variety of food. View of beach is beautiful from apartment. Apartment is fully equiped for a peace of mind stay. Location are very good, but don't expect any Housekeeping. We had throw our own rubbish everday. Based price we paid is value for money. Location was fantastic and value for money. Would stay there again and would recommend to friends and family. 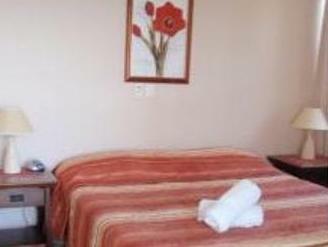 The Staff need an attitude change, the towels had hair on them, location is fantastic. Great views from apartment and very central to everything.